X-mas and New Year sales are among the best times to pick up various items at throwaway rates. This is why many people wait for these sales to procure an assortment of items ranging from electronic stuff to home appliances. Similarly, forklift sales are among the best times to purchase forklifts. These machines usually cost a considerable amount of money. Forklifts play an essential role in various warehousing, manufacturing and automotive businesses. But not all these businesses can afford to purchase forklifts outright. As a result, many companies prefer hiring forklifts for meeting short-term requirements. Similarly, others consider purchasing used forklifts that often feature lower price tags. Are You Looking for Authentic Forklift Spares in Australia? If you’re looking for the best forklift sales in the country, don’t look beyond Southcoast Forklifts. We specialise in providing new and used forklifts for sale. In addition, if you require forklift or EWPs on hire, we can offer assistance with that as well. We typically rely on our comprehensive network of brokers for finding used forklifts that suit your requirements and budgets. Moreover, we maintain a comprehensive stock of spare parts for nearly all forklift makes and models. This is why many people across the country depend on us for all their forklift-related requirements. 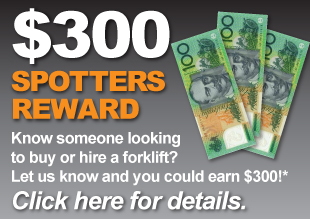 Click here to start shopping for forklifts.